The Leon Quartet is based in Kent and London, UK. Since forming in 2010, the quartet has performed across Britain, including Canterbury Cathedral, Deal Festival, Leicester Guildhall, Edinburgh Fringe, Trinity Arts Centre and the Marlowe Theatre. They enjoy playing a diverse and colourful repertoire, with recent performances ranging from quartets by Prokofiev, Schubert, Bridge, Arnold and Webern. The quartet also regularly engage in session work for film and TV including for the BBC. All four members share a passion for contemporary music, and the quartet has given world premieres by local and international composers. The quartet regularly appear at the Free Range experimental concert series, which has included interpretative projects such as playing original compositions in reaction to visual art. In 2015 they worked with Italian compoer Dimitri Scarlato, performing his work ‘Time and Eternity’ for String Quartet, Soprano and Percussion. More recently in 2018, the quartet performed Golijov’s haunting quartet ‘Tenebrae’. The quartet regularly collaborates with composer Samuel Messer on World Premieres of beautiful and fragile explorations of contemporary soundworlds. Recitals aside, the quartet also devote their time to educational outreach projects, and in 2013 performed Noyes Fludde with the Sacconi quartet as part of the Sacconi Music Festival. In 2014 they held an open rehearsal of Mozart’s clarinet quintet with Professor Grenville Hancox at the Beaney Institute in Canterbury City Centre. Also taking to the stage in 2013 for a sold out production of ‘The Lion The Witch and The Wardrobe’ at the Gulbenkian Theatre. The quartet often venture into schools with the mission of sparking an interest in ‘all things strings’ to the future generation. In 2016 the quartet workshopped GCSE students’ compositions with Judith Weir, Master of the Queen’s Music. The Leon quartet enjoys an ongoing collaborations with local bands and folk musicians. Past performances have included the Smugglers’ Festival, the Free Range concert series and Coco and the Butterfield’s tours in London and Margate. The quartet feature on Arlet’s 2016 album ‘Big Red Sun’ and Coco and the Butterfield’s 2019 album ‘Monsters Unplugged’. 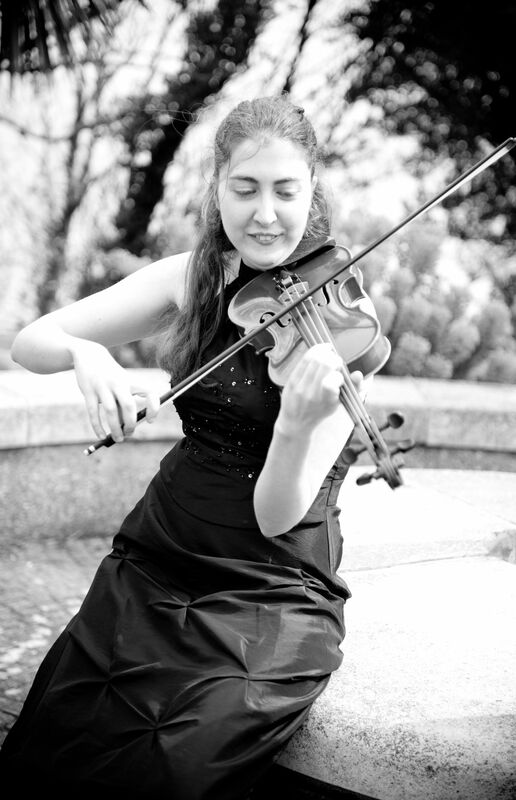 Karen discovered the violin at age 7, when she was handed her great grandmother’s instrument from an attic. Karen has since become a dedicated player, graduating from Canterbury Christ Church University with a First Class honours degree in 2012. During her time there, Karen led the orchestra for two years and won the Cyril Philips Prize for outstanding musical commitment. Karen was also a prominent member of many chamber ensembles during her time at university, performing octets by Shostakovich and Mendelssohn and concerti by Bach and Mozart. Karen studied with the late Carmel Kaine, and has enjoyed solo master classes with Rachel Podger and string quartet coaching with Martin Outram. She is particularly fond of interpreting works by Russian, Czech and Polish composers. Karen recently performed Janacek’s ‘Sonata for Violin and Piano’, and Martinu’s ‘Three Madrigals for Violin and Viola’ with Matthew Brown. Future concert projects include performances of Ravel’s ‘Tzigane’ and regular concerts in St John’s, Smith Square with the Young Musicians’ Symphony Orchestra. 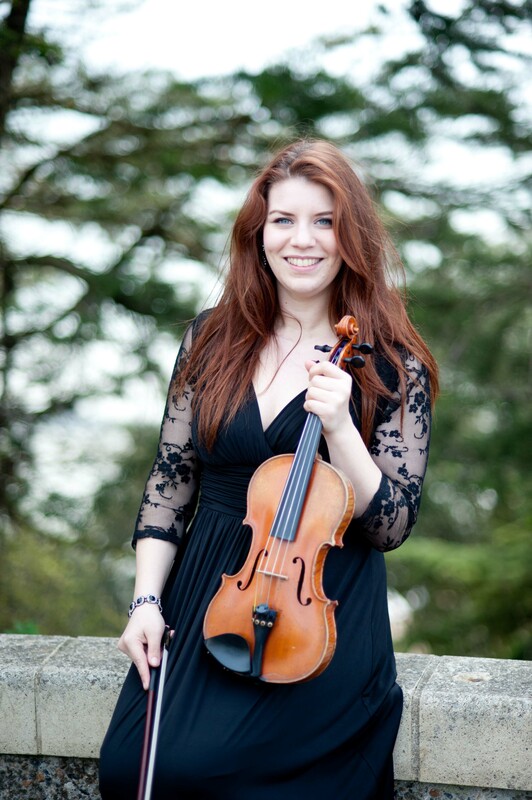 Karen enjoys a busy schedule as a freelance solo, orchestral and chamber musician and works as a violin teacher in East Kent, regularly leading workshops and orchestras. She plays on an early twentieth century violin by the German luthier Henreich Heberlein Jr., kindly donated by Eric Richards in 2010. Kammy began playing the violin at the age of 4, learning with Mary Bartlette and later Sophia Bartlette, performing solo and ensemble repertoire from a young age. At 13, after gaining her grade 8 violin she won a music scholarship to Senior Kings School Canterbury and went on to study with Andrew Pollock of the London Symphony Orchestra. She played in the orchestra under conductor Colin Metters, studied chamber music ensemble with Andrew Pollock and performed frequent recitals at the Old Synagogue, the schools well known recital platform. She led the orchestra in her final year and won the Recital Competition in 2006 performing Bernstein’s ‘Symposium’, Samuel Barber’s violin concerto and a Heifetz arrangement of Gershwin’s ‘Ain’t Necessarily So’. Her final performance at the school culminated on a summer evening in Canterbury Cathedral’s cloisters playing another Heifetz arrangement of ‘Porgy and Bess’ with pianist Stephen Matthews. After leaving school she was unsure whether she wanted to continue her violin studies and took a year out to work at restaurants in Canterbury. Whilst working she met Faith Whitely of the Yehudi Menuhin School, with whom she proceeded to undertake four intense years of technical study. While studying with Ms Whitely Kammy undertook a music degree at the local university, Canterbury Christchurch. It was here she met violinist Karen Jolliffe, composer Matthew Brown and cellist Mike Bacon. Together they formed the Leon String Quartet and undertook chamber music instruction from Martin Outram of the Maggini Quartet. 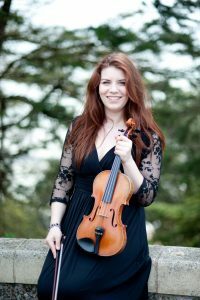 For four years after gaining her degree Kammy worked as a free lancing violinist playing with the Kent Concert Orchestra, the Marlowe Theatre, Deal and Sandwich Arts Festivals, Canterbury Music Society, Leon Quartet functions and weddings and small recitals in local churches. She supplemented her work with part-time administration roles at the London Sinfonietta and Sounds New Contemporary Music Festival. Now, still based in London, she keeps up with the quartet’s busy schedule, whilst also working as a Registered Nurse. She plays on a French Mirecourt violin made by Leon Mougenout in the same year as the Wall Street Crash. The quartet takes its name from Leon himself. Click here to listen to ‘The Lark Ascending’ with soloist Kammy Pike, Canterbury Christ Church University symphony orchestra and conductor Tadeusz Kaznowski. 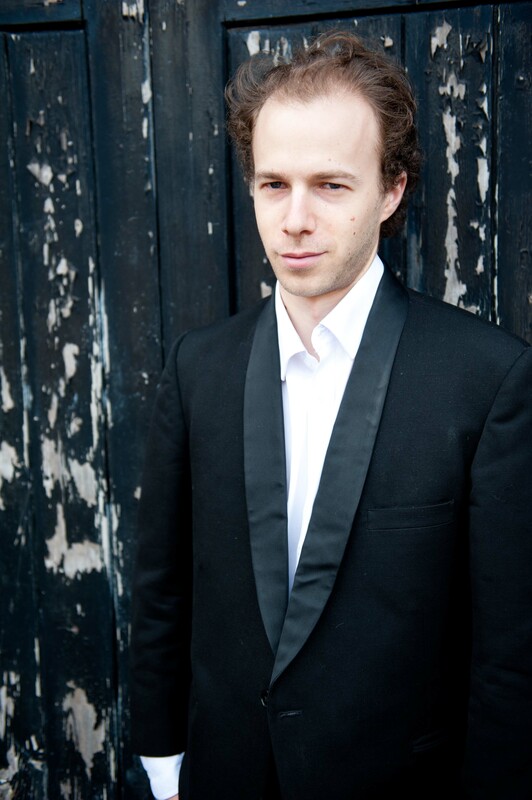 Matthew is a violist, violinist and composer, born in Canterbury in 1985. He learned to play the violin at the age of 5 and also began composing at the age of 9. Later, he began to play the viola in the Canterbury Christ Church University orchestra and in the Leon Quartet. During the course of his studies he wrote music for the University Wind Orchestra, String Orchestra with Alexander Rider on harp, Scratch Orchestra, and for Piano Trio performed by Andrew Francois, Ivan Hussey, and Sergey Vasiliev. He graduated from Christ Church in 2010. In 2013 he completed a Master of Music in Composition at the Royal Northern College of Music, where he studied with Adam Gorb and Paul Patterson, with a scholarship kindly supported by the Richard Newitt and Radcliffe trusts. Since entering the RNCM, Matthew’s song ‘There Came a Wind Like a Bugle’ was premièred by Rhona McKail and Yshani Perinpanayagam at Canterbury’s Sounds New Contemporary Music Festival, and given a second performance by Kathryn West and Aaron Parker at RNCM. October 2012 saw the première of his new work for soprano and orchestra, ‘Caelestialis’, with Jessica Gillingwater and the RNCM symphony orchestra conducted by Carlos del Cueto. In October 2013, Matthew’s striking work for solo viola and orchestra, ‘Three Illusions of Peganum Harmala’, was performed by Paul Beckett with the RNCM symphony orchestra. Most recently he wrote a piece for an ensemble that combined the Leon String Quartet and the chamber/folk band, Arlet, as part of the Sounds New Contemporary Music Festival 2014. He frequently writes arrangements for the quartet, and has recently completed a new work written for the quartet to be played in the Deal Festival 2014. In February 2014, Matthew’s duo for violin and viola, was influenced by Martinu’s ‘Three Madrigals’, which he regularly performs with Karen Jolliffe. Matthew frequently combines his interest in composition and viola playing, and contributes towards the composition of new music for the viola as part of Canterbury Christ Church University’s annual Viola Day, lead by Martin Outram. Click here for more information and to contact Matt regarding composition work. Mike leads a busy and diverse musical life, performing as a soloist and chamber musician. He enjoys freelancing, most recently with the Kent Concert Orchestra and Deal Festival Orchestra. Mike studied music at Canterbury Christ Church University and graduated with First-Class Honours in 2012. During the final two years of his degree he led the cello section of the university symphony orchestra and enjoyed regular coaching from Martin Outram of the Maggini Quartet. During his studies, he received tutelage under Sue Lowe at Eton College and attended masterclasses from Sandy Baillie and Pierre Doumenge. Mike won the Christ Church Music Department Scholarship for two consecutive years and was also awarded the Canterbury Arts Council Scholarship and Lord Lieutenants Fund Grant. 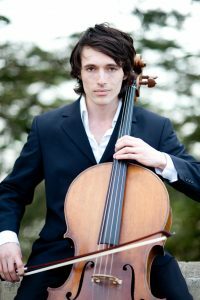 He is now teaching at Oxford Cello School as well as in Kent and London. He also co-directs Cello Love weekend workshops, which focuses on the enjoyment of musical collaboration. Mike is currently working towards an LRSM in cello performance. He plays on a French cello made in 1870 by Pierre Charles Jacquot. Click here for more information and to contact Mike regarding cello lessons.